Yellow dock should not be taken by those with a tendency to develop kidney stones. Excessive intake can irritate the intestinal tract. Indigenous to Europe and Africa, the dock varieties now grow wild in many regions of the world, thriving on dumps, roadsides, and in ditches. It is a perennial, growing from one to five feet with curled, lance-shaped leaves which alternate along the stem reaching lengths of up to ten inches. It has spikes of small, reddish, woody fruits. The plant turns a striking rust-red in the fall and during the winter. The dead stalks and heavy seed panicles at the top of the stem are easily recognizable. The reddish-brown root is shaped something like a carrot; and, inside, the colour is a yellowish-orange. The darker the yellow, the stronger the medicinal qualities of the root. The root is dug up in autumn, chopped, and dried. In the past, the leaves were eaten as a spring tonic, but now only the root is used. It was also used as a salad vegetable and a cooked green. The early settlers to North America quickly learned about poison ivy. One old-time cure was boiled yellow burdock mixed with vinegar and applied to the sores. The Iroquois used tea made from the roots to treat upset stomach, kidney problems, and general bowel problems. Many tribes, including the Blackfoot, Paiute, and Shoshone, used the herb topically by applying the mashed root to sores and swellings. Sorrel is an ingredient of a Native American anticancer remedy known as Essiac, which also includes burdock, slippery elm, and Chinese rhubarb. Western herbalists learned of it early in the 20th century when a Canadian nurse observed the recovery of a breast cancer patient who had used the formula some twenty years previously. This nurse began using it with great success; and, despite attempts to extract the formula for financial gain, she stood firm in giving it out to whomever needed it without charge. Despite the successful treatments, no proper clinical trials have ever been undertaken when it was understood that it could not be exploited. Apparently, the shape and reddish colour of the root must have reminded someone of a cow’s tongue and thereby named it “Lengua de vaca”. The Aztecs called it “atlinan”, meaning “its mother is water”. This referred to the plant’s preferance in growing in streambeds. They also called it “axixpatlicóztic”, meaning “yellow urine medicine,” which referred to its use as a diuretic. In a 1629 treatise entitled Heathen Superstitions That Today Live Among the Indians Native to This New Spain, a cleric described an Aztec remedy using the herb in an enema to treat stomachache and fever. The roots and leaves were also ground and sprinkled on wounds and sores. In Europe, the herb has been used as a purgative since the time of the ancient Greeks. Dock leaves were also used to treat scrofulous sores, sore eyes, and glandular swellings. 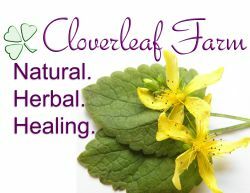 To cure itchy skin, the leaves were bruised, mixed with butter, lard, or cream, and placed on the area. The Mennonites used the plant as a blood purifier and treated many liver ailments with it. Ancient Arab physicians recommended the plant for hepatitis and poor digestion. Although considered by many to be another useless weed, it is one often targeted by herbicide producers, along with other medicinal “weeds”, including the dandelion and burdock. Isolated anthraquinones are irritants and have a laxative effect. Scientific examination has found the plant to inhibit Escherichia, Salmonella, and Staphylococcus. All members are used as a detoxifying herb; and the fresh juice has a notable diuretic effect, as well as being mildly laxative. The anthraquinones have a purgative effect on the colon; and, although not as strong as Chinese rhubarb or Cascara, it is a mild alternative. It is quite effective when used with licorice for constipation. Short term use of decoctions internally, not only relieve constipation, but are also used for boils by mixing an equal amount of yellow dock, burdock, and red clover. It was used for such ailments as stomach and liver ailments and to purify the blood. The root is said to be an effective treatment for post-hepatitis flareups and difficulty in processing fatty foods. It stimulates the flow of bile, thereby enhancing digestion and getting rid of toxic wastes. Such cleansing is used to treat a number of conditions marked by stagnant toxins in the body including acne, boils, eczema, psoriasis, fungal infections, sluggish digestion, constipation, arthritic and rheumatic conditions. It also holds potential as a long-term treatment for chronic disease, especially that of the gastrointestinal tract. The leaves of all species, but especially the Broad-leaved Dock, are used as an antidote to nettle stings, with the leaf being rubbed over the affected area. Various cultures around the world have used yellow dock for ailments ranging from cancer and tuberculosis to syphilis and leprosy, and ringworm and hemorrhoids. In India, the juice from the roots are used for toothaches, while the powdered root is used for gingivitis and as a dentifrice. The Maoris of New Zealand chew the leaf first then apply it to wounds, which, they claim, will heal without scaring. Mixed with equal parts of sarsaparilla, dandelion root, burdock, oregon grape root, and figwort, yellow dock is effective in treating psoriasis.